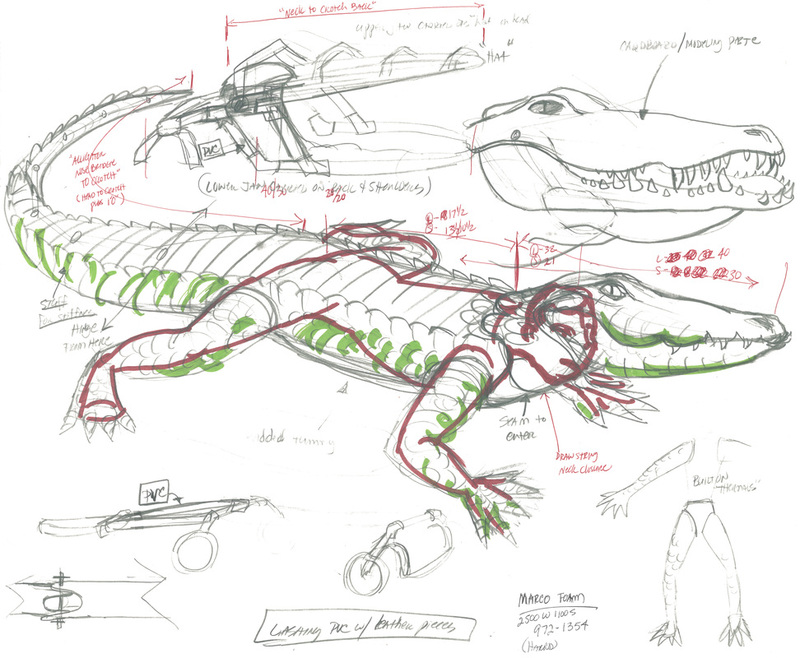 Created specifically for the Hale Center Theatre in Salt Lake City, this body puppet was added to the musical to copy the movie's addition of a crocodile as a pet. The actor laid on a skate board that allowed him to "crawl" across the stage. The actor could also open and close the mouth with a lift of his head.